Yesterday, 9/30/17 Layla delivered the most gorgeous grey boy cria! We are thrilled! He is very fine and well conformed. 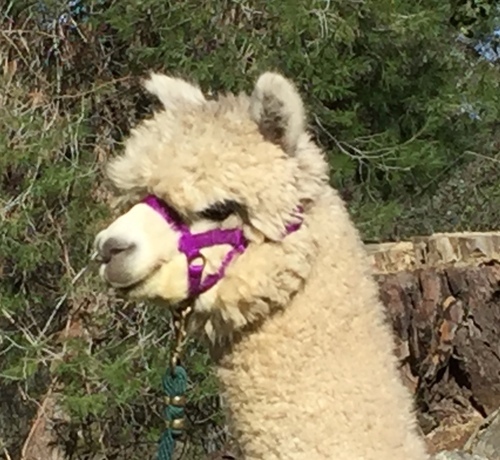 He looks Rose grey, but when you open up his fleece, he could be Silver. 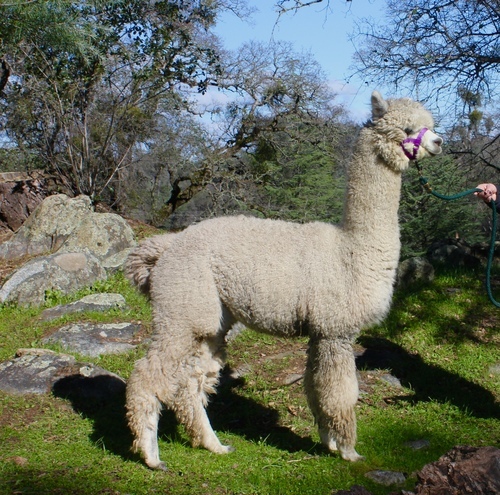 We hope to get him cria shorn soon. We will keep this boy! 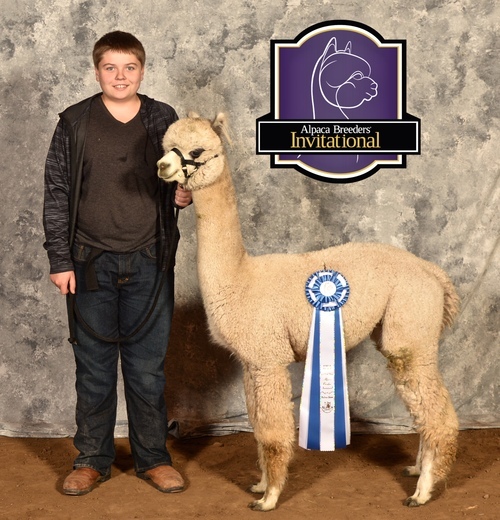 Check out our new cria's picture below! He is a special guy. His conformation is spot on and he has one of those eye catching heads that we love to see on our alpacas at Heart & Soul. We cant wait to see what EZ will produced when crossed with our Applause and Shift females. His first cria has hit the ground, and she is beautiful and strong! 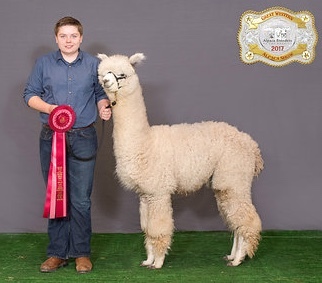 EZ has competed against the top gray alpacas in the country and held his own quite nicely. 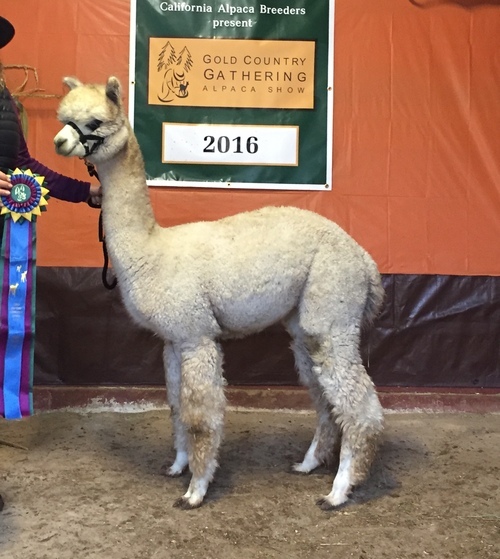 He is ready to start breeding, be the first to have one of this amazing boy's offspring! 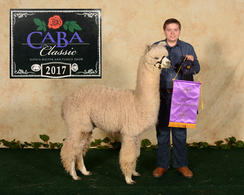 Watch for his 2019 crias! His 2018 daughter is already a hit!